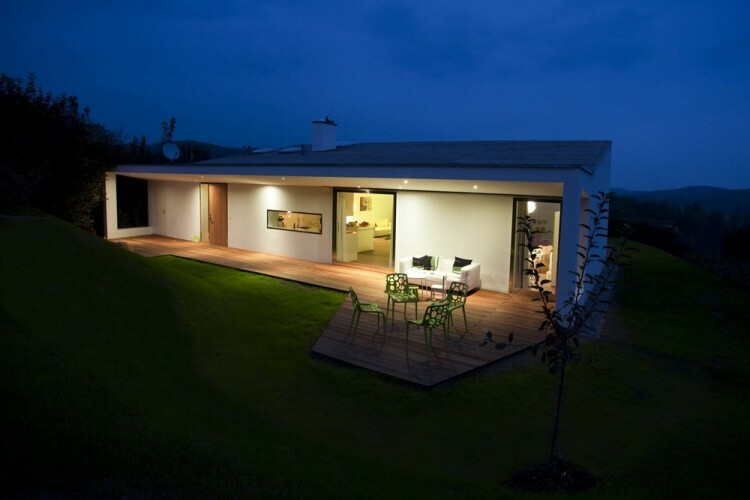 Austrian studio Love Architecture has completed the Villa 3S project in 2010. 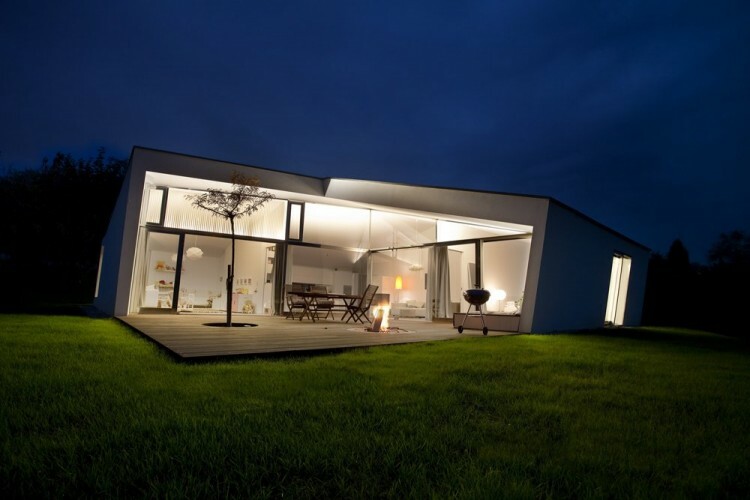 This single-story 1,560 square foot residence is located in Geidorf, Graz in Austria. 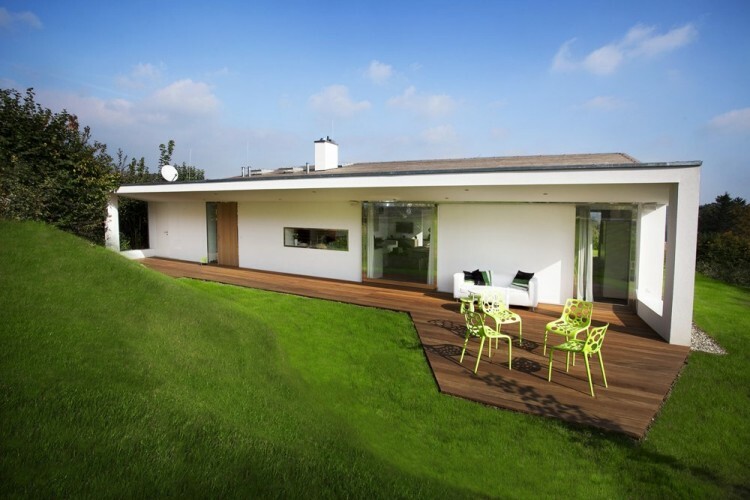 “A gorgeous property on the fringes of Graz Geidorf, a very limiting land-use plan and a very ambitious budget form the starting point for the planning of my own house. Simple yet complex; clear but also playful; light and optimistic; small yet also big. A place that is architecturally distinct, yet eminently livable; unconventional and unique, yet still functional for everyday living – these are the attributes of my family’s future home. 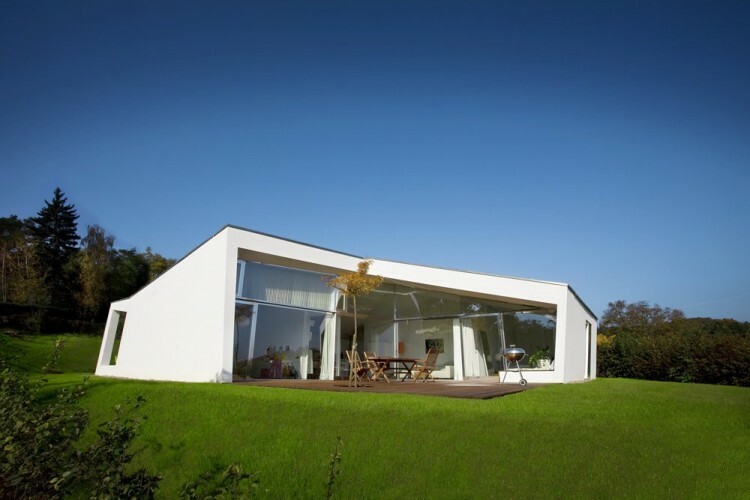 One of the fundamental ideas was to incorporate the relatively large property into the living space, meaning to make the boundaries between house and garden as fluid as possible in order to extend the living space over the entire property. This means as many subtle, boundaries and transitions between the inside and the outside as possible: large-scale vitrification with very large sliding doors; terraces that lead into the property and sheltered areas serve to blur the borders. The relatively strict land-use plan, which stipulated a saddle roof with a designated inclination, presented a further challenge. A folding begins at the seating platform on the southern terrace over the outside walls, continues over the roof, covers the building structure and thereby forms a “saddle roof” without taking on the appearance of a conventional saddle roof. This folding spatially differentiates the individual areas, thereby providing more excitement to the entire complex. 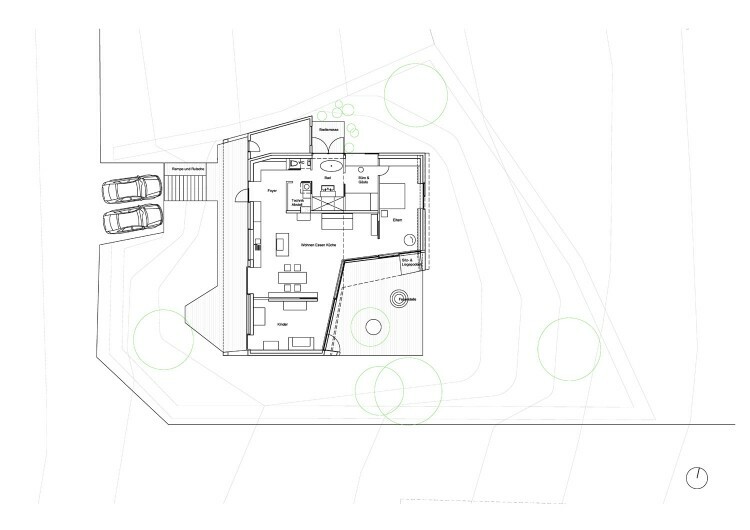 Due to the spatiality and “perspectivity” created in this way, the house looks different from every angle. The interior rooms will be up to 4 meters tall, which will make the entire house appear much larger. 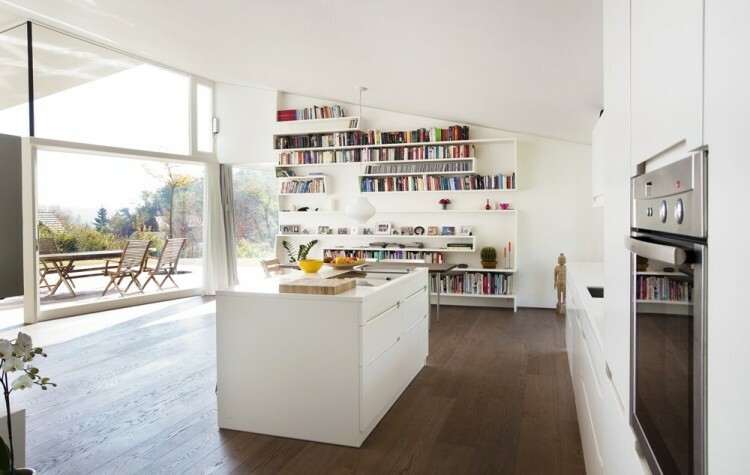 The interior of the house is centered around one main room for cooking, eating and living. 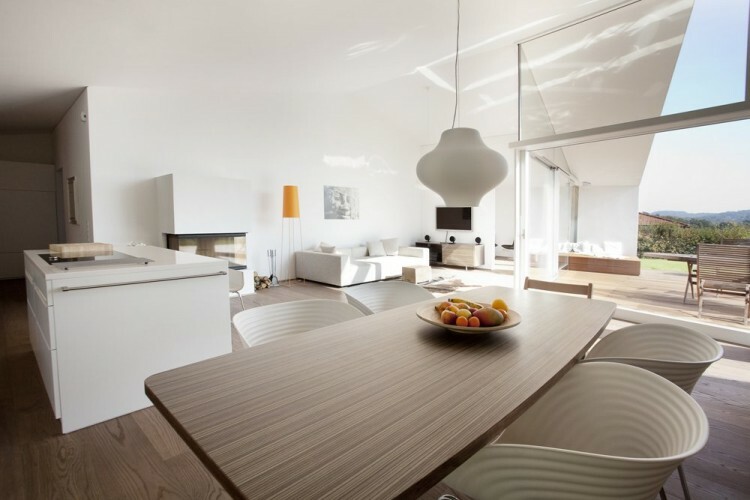 When open, large sliding doors between the individual rooms connect a fluid, complete spatial structure. With the sliding doors closed, each room maintains its intimacy and distinctiveness and also extends to its own outdoor area or access. 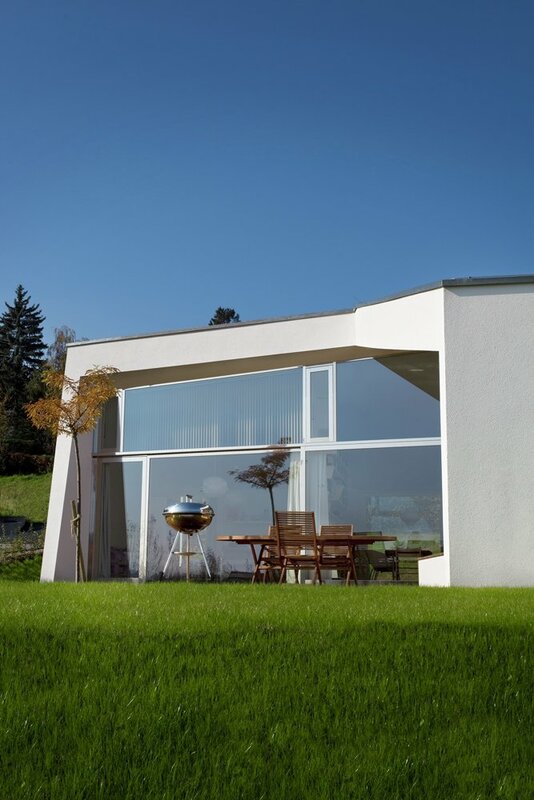 For example, the bathroom has its own, opaque terrace with an outdoor shower, which can be converted to an interior room with the use of broad folding doors. Weather permitting, the bathroom space can be doubled in this way.